I have aways loved watching blogger/Youtubers show there Evening Routine, its interesting to me to see what products they use and how they enjoy there evening so I thought I would share my Evening Skincare Routine!! First things first, I decide whether I want to have a long relaxing bath or a shower? For this post I choose to have a bath. So I go ahead and start to run it. I still have quite a lot of my Christmas Lush products so its super exciting to use my Magic bubble Wand. This smell exactly like Snow Fairy so I realise then I have made the right choice for a bath. It create lots of bubble and makes the best bubble bath. Then it is time to get clean. I absolutely love scrubs, I tend to use these once or twice a week to help clean my skin. I go between two, Soap and Glory's Scrub of your Life and Zoella's Scrubbing Me Softly! This time I use Scrubbing Me Softly as this has to be my favourite products out of Zoella Beauty. It smells amazing and makes my skin feel super soft. Now after soaking in the bath for as long as I can, I then will move on to my face. If I have had a heavy day of make-up then I will use my Emma Hardie Moringa Cleansing balm. I have utterly fell in love with this products. It takes my make-up very easily and makes my face very clean! If I am having a lighter make-up day or I haven't worn any make-up I will use my Peaches and Clean Cleansing Milk. I have talked about this a lot so you know how much I LOVE this stuff. 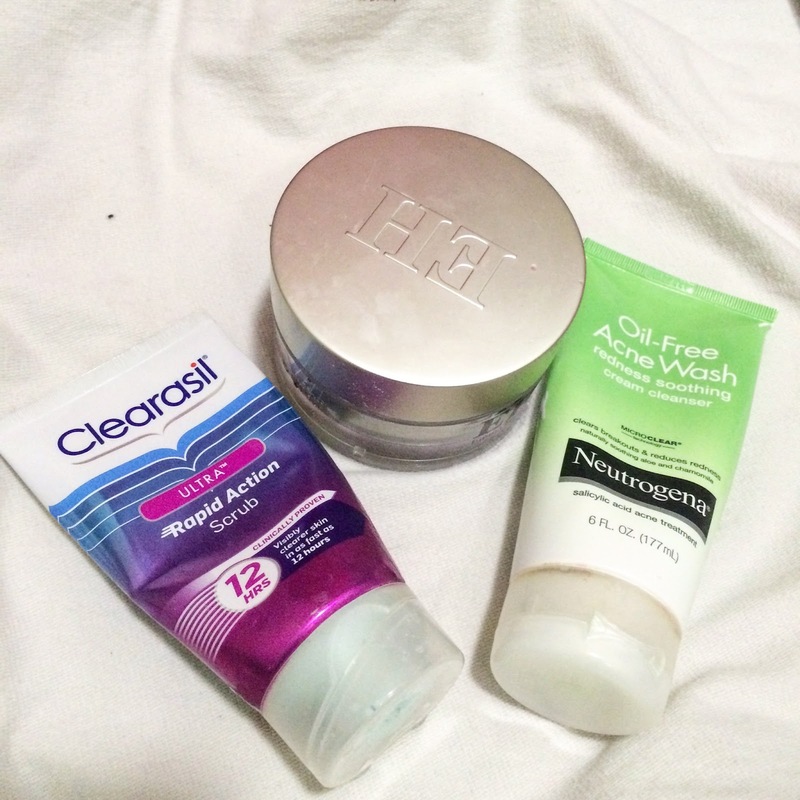 After my cleanser I will either use Clearasil Rapid Action Scrub, or Neutrogena Oil-Free Acne Wash. I use Clearsasil once or twice a week to exfoliate my skin and I do think it helps with my skin. I use Neutrogena as often as I can as it help with redness on my face. After spending another 15/20 mins doing that stuff I know that I have to get out. This is when I relax even more and take my time finishing of my evening, I change my music something more subtle. If I can bothered I go all out and do a Facemark, I love The Fab Pore 2 in 1 Facial Mask and Peel from soap and Glory! I leave it on for 10-15 minutes depending on how bad my skin is. During the time I have my face mask on, it is moisturising time. I have a few that I go between but this time I used Soap and Glory's Righteous Butter. This is my ultimate fav. As it is a body butter it sinks into my skin very quickly and makes my skin soft and smelling incredible. After I take my mask I use Nip and Fab wrinkle fix serum, to prevent wrinkles and then I would moisturise. I then get into my pjs and my warm dressing gown, curl up on the couch and enjoy my night!!! 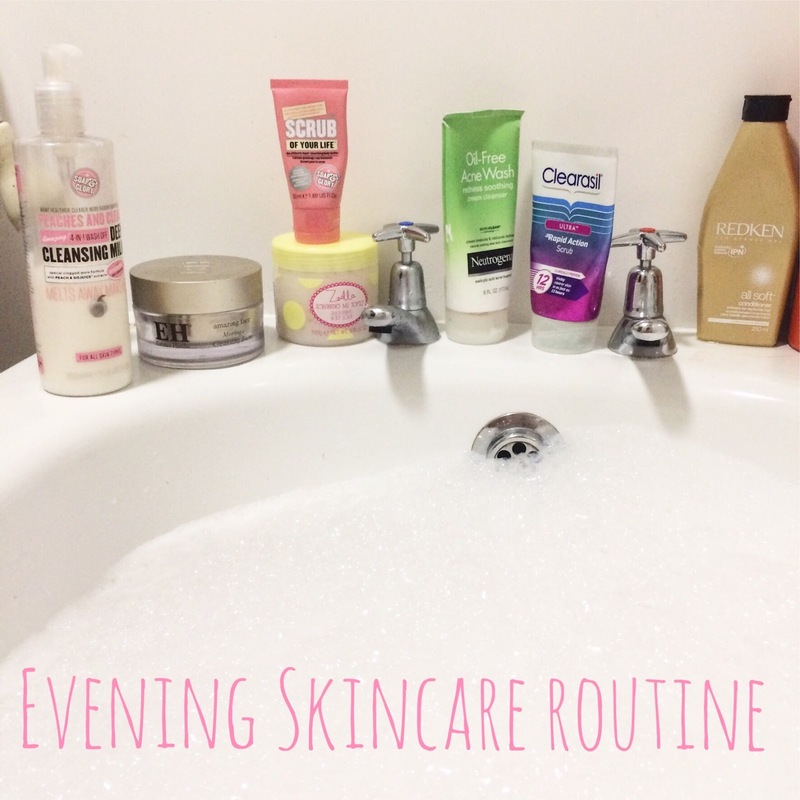 Hope you enjoyed that, let me know what your evening routine is! !